Enjoy cookies with a cold glass of milk, or a hot cup of cocoa. A variety of cookies is always a treat. But there are favorites that grace my table every year. Every Christmas Eve, when my children were small, I would make MandM cookies. I often made enough to share with neighbors. And even now that the children are grown, I make a batch and send them home for their families to enjoy. Aren't they pretty :-) I do place the MandM's on the top. I hope you enjoy them. 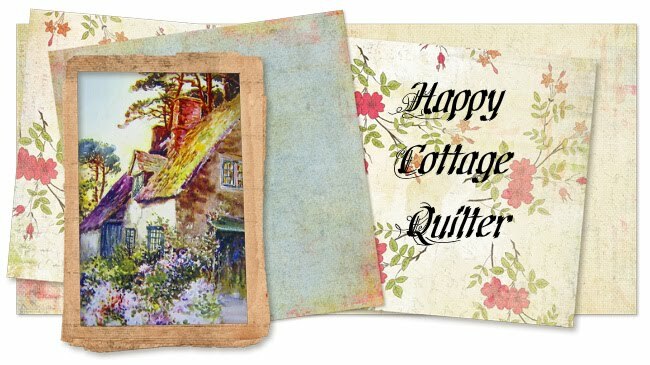 Thanks to Just Let Me Quilt for hosting the blog hop. As a thank you for visiting my blog, and a jump start for your holiday cookie baking, I'm having a little giveaway for my U.S. readers. Just leave a comment on this post telling me where you live and what is your favorite cookie recipe. The Random generator will choose a winner on Friday, November 30th. Be sure to come back for the next few days and visit the other participating bloggers. Here is the list. You make my mouth water with those M&M cookies! I'd like one right now. My favorites are close to that--oatmeal chocolate chip. I like to add coconut and pecans too. Yum! Thanks for sharing! Your M&M cookies sounds great! My grands would love those!! I live in Alabama and my favorite cookie recipe is plain old short bread - or as we call them here in the south - teacakes!! Thanks for the opportunity to win! I love your cookie tradition! I live in New York. My favorite cookie recipe is a linzer tort (with wild raspberry filling)! Oh My goodness, those cookies bring back memories. That was the cookie my mother always made for her parties. Even the elegant parties. Fun! I live in West Virginia but currently have a semi-resident in the Foothills of North Carolina! My favorite cookie recipe is a sugar cookie, simple and good with lots of butter! I'm from Arizona and my favorite cookies are Swedish Rosettes which are a delicate deep fried goodie & dusted with powered sugar. I can remember making M&M cookies every Christmas growing up....and yes, it makes my mouth water too. My favorite family recipe is Chocolate Chip, and I have to use white, milk and semi-sweet chocolates and make one big chocolate chip cookie....love reading all the recipes. I am from Caldwell, TEXAS . They look delicious! I love how the M&M's come in holiday colors to make cookies look perfect...yum! Your children must totally love that you send them home with those cookies. Thank you for sharing your cookie recipe and hopping with us! xo P.S. I couldn't pin your post because it said it wasn't allowed. I live in Minnesota and my favorite holiday cookie is Oatmeal Cherry whit Chocolate Chip! You can never go wrong with M&M cookies! Yum! Those look so yummy. The kids would really enjoy these. Thanks so much for the recipe. M&M cookies...I love them, but feel so guilty after seeing the cute commercials with the little guys. LOL!! If anything has M&M's in it, its my favorite. Now about that giveaway...I do believe I spy a "Moose" cookie cutter in there! It's a good thing I live in the US. Colorado is my home. Have a very blessed holiday season. Hi! DesertSky Quilting is originally from the deserts of Arizona, but now I live in wet east Tennessee! My favorite cookie is going to be on my blog on Thursday, and it's a conglomeration I made from the Quaker Oatmeal recipe, but it's SO much more. Thanks for the wonderful looking M&M recipe. That's one thing I haven't tried adding to my cookie! That is a wonderful set and so nice of you to offer a chance to win it. Thank you! My favorite cookies for Christmas are cut out sugar cookies. I have been making them for as long as I remember and now my daughter makes them with her family! I am writing from snowy upstate New York. My favourite cookie is shortbread. I often make it and add grated lemon peel, or grated almonds or hazelnuts to give it an extra zing. I also dress it up by dipping one end in dark chocolate and sprinkling crushed caramel and coarse salt on it for a sweet Christmas gift. Oh boy, I haven't had Holiday M&M cookies in years and years. Yours look great. I definitely need to make these this season. Yummy!!! Those cookies look so yummy and they are very close to my favorite recipe -- chocolate chip cookies. I live in MS but I'm originally from PA where we actually had snow at Christmas time. Yummy! You are making me hungry for cookies now! My favorite is gooey butter cookies. They are made with a cake mix and are so good. It started out as a St. Louis thing, but I think it has spread across the country now. I'm from St. Louis, too. Oh, I haven't made these in a long time!! I used to make them for my kids and love them!! I also love the decorated butter cookies...my absolute favorite! Oh, Jocelyn, those cookies are looking so festive and yummy. Thanks for the recipe. Thanks for the giveaway too. My favorite cookies are snowballs/ pecan shortbread/ Mexican wedding cookies. Merry Christmas! Such a lovely holiday cookie recipe, thanks so much for sharing it with us. Wishing you a very Merry Christmas. I live in a bedroom community of Tulsa, Oklahoma. My favorite cookie is a Nestle Tollhouse Cookie. The M&M cookies are a lovely tradition in your family. I need to see if I can find my mom's recipe for Orange Refrigerator Cookies. I love that you use the red/green M&Ms; what a lovely tradition. I live in Iowa and my favorite cookie is a toss-up between Aunt Minnie's Ginger Cremes and Parisian Wafers. I'm from Roseville, CA. My favorite (home made) cookies are snickerdoodles. Love the smell of the warm sugar and cinnamon. I live in Alberta, but I'm spending Christmas with my family Idaho (because I am American, I just married a Canadian). I'm part of the blog hop so you'll read my sugar cookie recipe on Thursday, but another one of my favorite Christmas cookies is Peppermint Snowballs!! Your M&M cookies sound very much like the coolies I made with my children. Chocolate chip have to be my favs, but I am not a sweet eater - a cookie would last me all day. I live in Schoharie NY where we have already had lots of snow. I live in south west Missouri and sugar cookies are my favorite. I split my time between Boston (actually Medford) and Portland ME (Peaks Island). My favorite cookies are anything homemade - but macaroons and macarons seem to be my faves. My favorite cookie is Cream Cheese Cookies. This is my Mom's cut out cookies and they are great with or without icing! 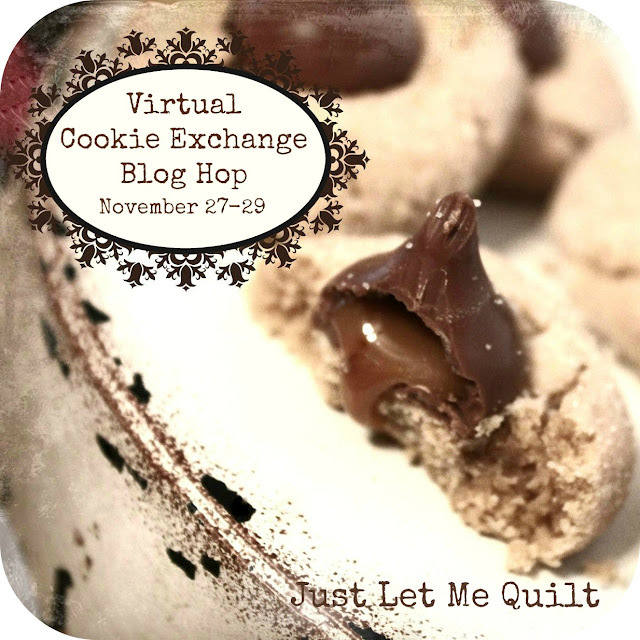 Love the Virtual Cookie Exchange! What a great idea to use the REd and Green M & M's!!! Love them!!! My son is eating m&m's right now. Ha! I'm sure he would love for me to make these. Your cookies look yummy. I live in Michigan. My favorite cookies for the holidays are crown jewel cookies. A simple cookie rolled in nuts with raspberry jam. Yum - M&M cookies would be a totally acceptable substitute to chocolate chip cookies! I live in MO and my favorite Christmas cookie recipe is an old family recipe, handed down from my great aunts, French Cookies. You use a special iron, that heats on the stove, and you make one cookie at a time. As a child, I never could understand why we were limited to just a few cookies, until I started making them!! I live in California, and my favorite are the powdered sugar balls (so many names for them). Although I do love M&M/Chocolate Chip cookies, my favorite Christmas cookies are Spritz cookies. When I was growing up, my mother had a hand crank tube to make the special shapes. Luckily, my sister-in-law gave me an electric "shooter cookie" press that makes them with out all of the hand twisting fuss. Thanks for sharing your recipe.